Nobody knows more about our vehicles than our staff here at INFINITI of Clarendon Hills. Our auto mechanics use only the highest quality OEM manufactured INFINITI car parts when working through service and maintenance on a INFINITI Q50, QX60, QX80, Q70, Q40 and your own vehicle. Rest assured that if you need a certain part to fix up your car’s brakes, key fob, and more, we’ve got it. Know what you need and ready to get to work? Our staff will contact you shortly after completing our online contact form, but make sure you check out our auto parts specials first. If the work that is needed to be done is unclear, stop by our shop at 415 E Ogden Ave, Clarendon Hills, IL 60514 and we’ll help you figure out what you need. 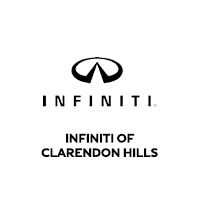 Order INFINITI parts through INFINITI of Clarendon Hills at our online parts order form below. When your INFINITI parts are delivered, you can grab them at our dealership at 415 E. Ogden Ave, Clarendon Hills, IL. Need your INFINITI repaired instead? Stop by and see our mechanics at our state-of-the-art INFINITI repair facility. Our Parts Department at INFINITI of Clarendon Hills stocks a complete line of top quality genuine INFINITI manufactured auto parts. Can’t find what you need? We can always place a part order for you to get it here quickly. As always, our staff is ready and waiting to answer any questions you have about INFINITI auto parts and repairs.